Dr. Martin Luther King Jr.’s vision for a more just and fair society was driven by a belief that America can and should be a place where all people prosper together. By focusing on what unites us, rather than what divides us, Dr. King showed us there is strength in unity, and taught us the immeasurable power working people have when they join together. 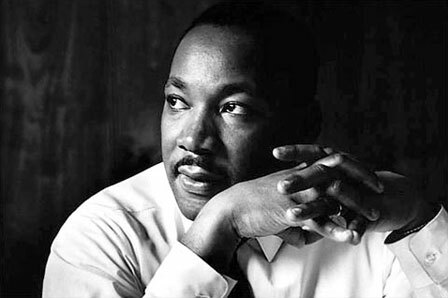 Though it has been more than 50 years since his tragic and untimely passing, Dr. King’s call for positive change through collective action resonates as strongly today as it did when he walked this Earth. We see it in the teachers of Los Angeles who have taken to the streets to protest growing class sizes and inadequate funding. We see it in the tens of thousands of furloughed federal employees and their allies who continue to rally, leaflet, picket, and advocate for a strong, stable, and fully funded government. And we see it in workers across the country who came together to form and join unions in the last year to raise standards for themselves and their communities. As our nation pauses to reflect upon the life and teachings of Dr. King, transportation labor is proud to recommit to our efforts to carry his life’s work and legacy forward. Today, and every day, we stand up for the principles of strength through unity by fighting for laws that encourage and empower working people to join together and building a labor movement that will transform misery and despair into hope and progress.